Have realy tryed hard to get this dx-pedition in log. Have not been easy from Norway. But ended up with 10 qso's. 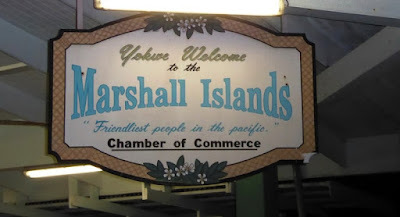 MARSHALL Isl. : 15-17-20-30 cw.. 20-40 ssb..15-17-20-30 rtty. This german team deliver every time,they understand propagation. Its a very good result for me since I have limited time and 100 watt. 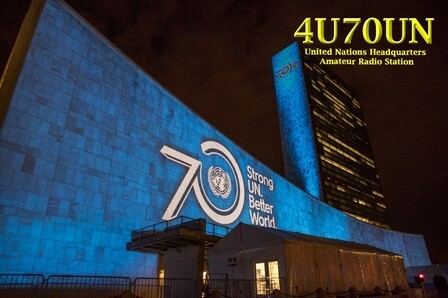 4U70UN showed up on the air this weekend. Photo from 4U1UN homepage. Worked them on 12+17 cw and 17 ssb. 2 new bands for me. Have 4U1UN on 20-30-40 before, they made 5885 q's in 11 hours,great operation. Other dx the last 2 week. CUBA:T42US on 15 rtty/ssb, a strange dx-pedition, 18 op's and not many q's WHAT ARE THEY DOING..
FERNANDO DE NORHONA :PY0F/AA4NC on 12-15-17-20 cw, 10-12 rtty This is a great Operator. ST.HELENA :ZD7W on 10ssb and 10-15 cw it is W6NV Oliver on tour, a great cw-operator. The last weekend it was CQWW SSB contest also. Will give a report later in this week,radio conds was ok this weekend.